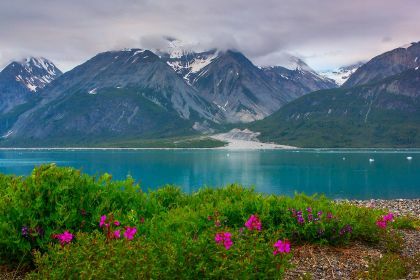 Exploring the coastlines of Alaska during the summer season is an incredible experience – you’ll discover deserted islands, fishing villages, sea stacks and caves, and view the most spectacular wildlife from the deck of your private yacht. You’ll see humpback whales breach, watch icebergs crash into the water below, and explore remote, uncharted territory. 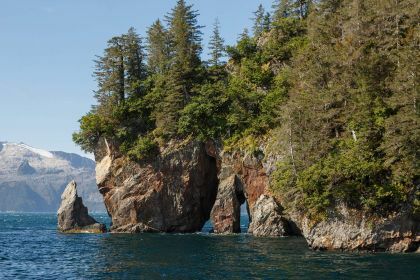 Kenai Fjords National Park may be the smallest park in Alaska but it stands out with its coastal rainforests, tidewater glaciers and remote islands. Hiking here is a surreal experience; the unspoilt, ever-changing wilderness is simply breathtaking. 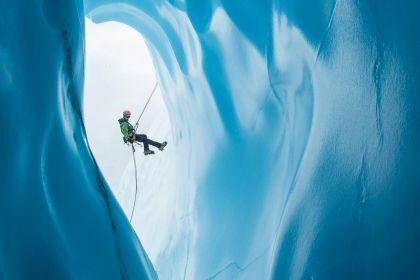 A challenging yet rewarding day hike is the Harding Icefield Trail. Much of the park is only accessible by water, including the fjord ecosystem and tidewater glaciers. You can even kayak the fjords with a guide, or take a flight tour to see the park from above. Peak visiting months are from June to August, with limited services available in May and September. Kayaking is a wonderful way to experience the natural wonders of Alaska up close. You’ll potentially spot whales, seals, sea lions, porpoises, sea otters, and a wide variety of bird life. 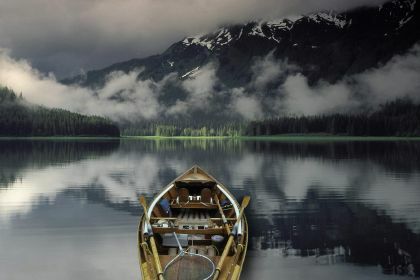 Some prime places to paddle include Glacier Bay National Park and the Kenai Peninsula. At Prince William Sound you can explore hidden coves and paddle past majestic calving glaciers. 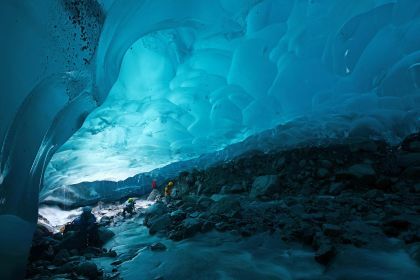 Of course, Alaska’s mountains and glaciers are another huge drawcard. For the ultimate mountain sightseeing adventure, take a flight from Talkeetna and land on a glacier on Denali. You can take a short walk to view Exit Glacier in Seward. Sail to Glacier Bay National Park and Preserve, keeping your eyes peeled for carving glaciers and humpback whales along the way. 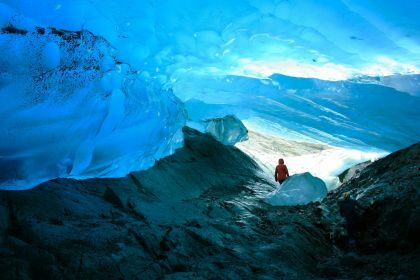 Or visit Childs Glacier, only accessible by boat, considered to be the most active carving glacier in the world. Let’s not forget the Northern Lights or Aurora Borealis, which you are more likely to witness in the dead of winter, between August and April. 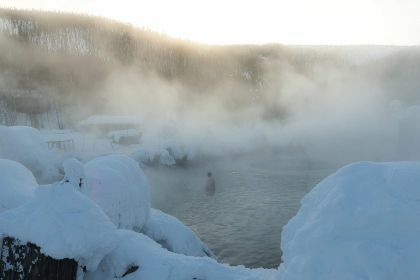 The city of Fairbanks is one of the best places to see the Northern Lights in the U.S, and you can even see them while luxuriating in a spring-fed hot tub, in the village of Manley Hot Springs. From May to September is the best time for spotting whales, due to their migration patterns. You can take a whale watching tour to have a better chance of spotting these magnificent creatures, or have a go on your own, on your luxury private yacht. Whale watching can be a good test of patience. Luckily, you’ll be on the deck of your private yacht with a warm drink in hand, waiting in anticipation for these amazing creatures to show themselves. And in an instant, the rush of adrenaline is unlike anything else, as a majestic orca or humpback whale breaks the surface of the glassy water and says hello. 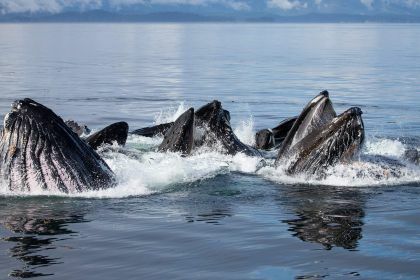 If you’re in the right place at the right time, you might be able to witness a bubble-net feeding, when a group of humpback whales blow bubbles to force fish up to the surface of the water, which they then feed on. A fascinating and frenzied sight, your best chance of witnessing it is during the summer, usually late June. A great place for viewing this is at Resurrection Bay in the Kenai Fjords. In the Kenai Fjords National Park, you’ll spy orcas and fin, gray, humpback, minke and sei whales. 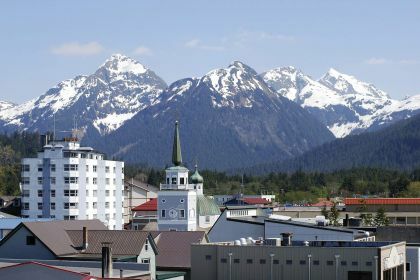 In Southeast Alaska, the region known as the Inside Passage (including the capital of Juneau) is a whale-watcher’s paradise. Here you’ll find orca, humpback and beluga. A great place for viewing beluga whales is south of Anchorage along the Turnagain Arm. Look for the white finless backs that break the surface of the water. Humpback whales can also be viewed in the summer months between Homer and Kodiak. In this area you should also see minke whales and orcas. Prince William Sound in Alaska is the summer habitat for gray, humpback and orca whales. Blue and minke whales also feed here during the summer. 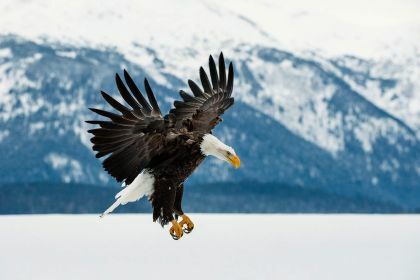 The Kenai Fjords National Park is home to an incredible range of animals. 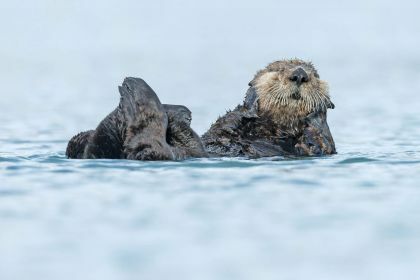 While on the water look out for sea otters and Stellar sea lions. On land, you could see moose, mountain goats, river otters, snowshoe hares, lynx, gray wolves, wolverines, and black and brown bears. Birders will be tickled by the 191 species of birds found within the park’s boundaries, including bald and golden eagles, and two types of puffins. Anchorage is another great addition to your yacht charter itinerary. This area is packed with incredible animals, like moose, puffins and otters. 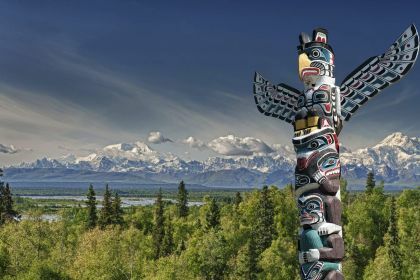 You can take to the air to watch bears fishing by the falls, or grab your binoculars for a spot of bird watching on the deck of your private yacht – millions of birds flock to Anchorage on their annual migration. Go to Denali National Park for a chance to see wolves and caribou, or take a polar bear tour above the Arctic Circle. Make sure to pack for capricious weather conditions – a good suggestion is to layer for warmth, and waterproof clothing is a must. Don’t forget your bathing suit if you’ll be visiting hot springs. Expedition yachts are increasingly being equipped with personal submarines, for an unmatched deep sea experience. Ask your broker about the variety of submersibles and equipment available. Alaska is the only US state with three species of bear – black, brown, and polar. Anchorage is one of the few places where you can easily see all three. Glacier Bay National Park and Preserve can only be reached by air or sea, and it contains over 50 named glaciers, including seven active tidewater glaciers that calve icebergs into the sea. From the deck of your yacht you’ll be able to see icebergs being calved – during this process blocks of ice up to 61 metres high break off and crash into the water.